I’ve been working on more and more Plein Aire paintings this summer. This past week, my wife and I had a picnic lunch at Tracy Park and we painted there together. The park was full of happy children running all over the playground and there was a show taking place on the Park’s gazebo. We set out lunch and our art materials on a nearby picnic table and enjoyed the scenery. The air was cool and the sky showed the slightest signs of rain, but the cheerful sounds of birds and children at play filled the park so pleasantly that we decided to stay and eat and paint.For my painting I wanted to concentrate on the Park’s stage. It is located in the center of the park and I thought our view offered an interesting composition. As I sat there with my wife, a flood of memories began to wash over me. 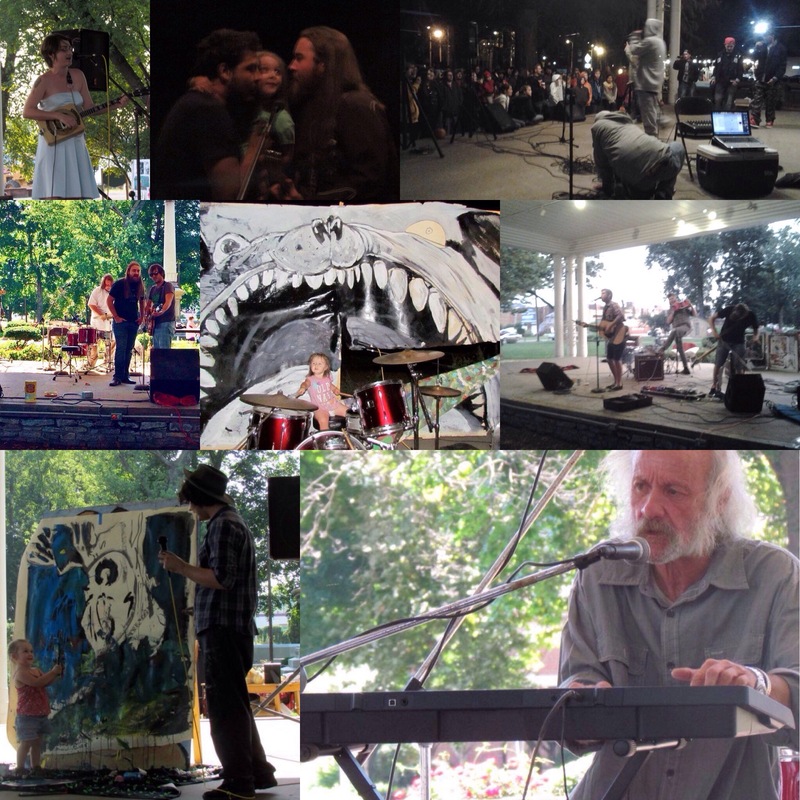 I had several flash backs to different art shows, concerts, fundraisers, and gatherings that took place at the Park. I recalled being fresh out of high school and displaying my work there. I remembered my band (the Rain Dogs) playing our first gig there and my performing my first live painting demonstration (accompanied by local legend Rich Moon). I remembered collaborating with artists like, Johnny Whisman, Pepper Fandango, and Vivian Shooter. I also thought about organizations like Shawnee’s Silhouette Magazine and the Portsmouth Renaissance group and the concerts we co hosted. 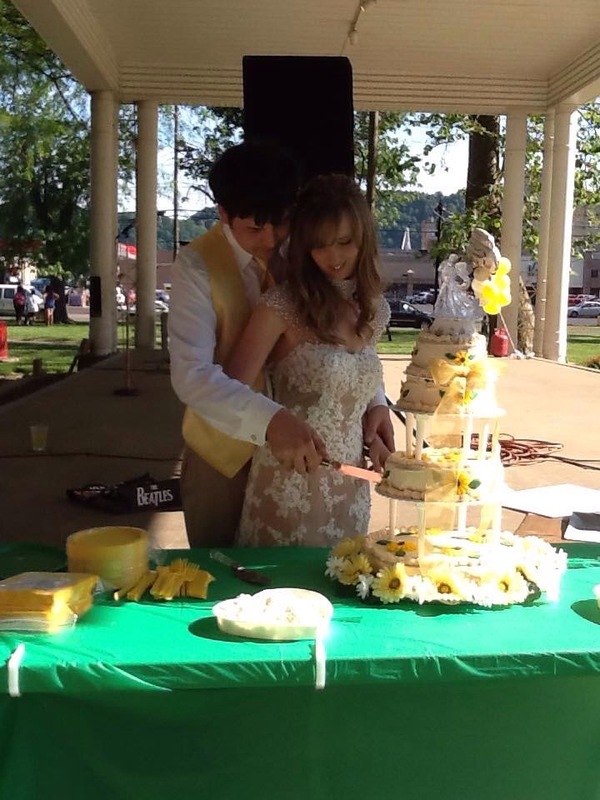 More recently I recalled the Rock A Billy concert, art show, and poetry reading fest that was my wedding reception. 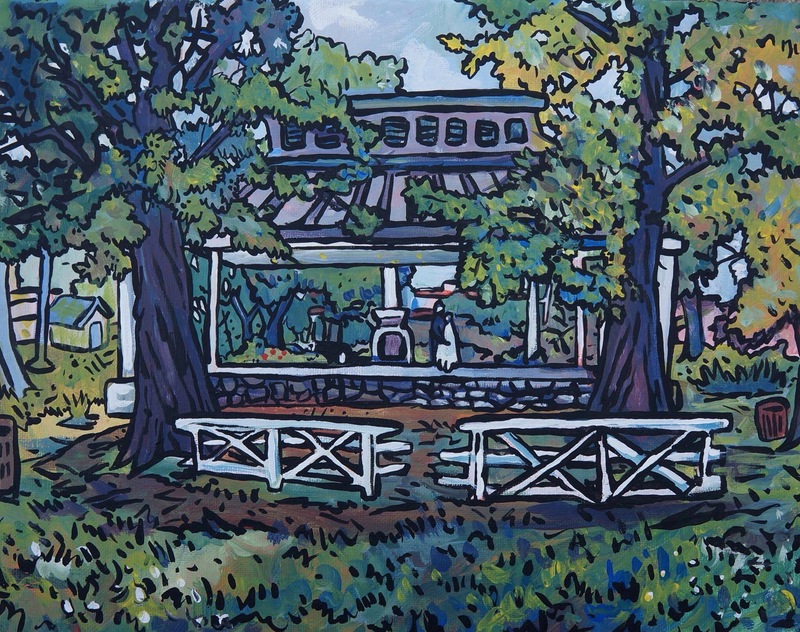 As I continued to paint, I realized Tracy Park has alway been particularly important for me. Whether it was through concerts or community projects, the park exposed me to an atmosphere that was and is a place that’s all about learning and sharing. It introduced me to much of Portsmouth’s artistic community and gave me a venue to celebrate my own creative expression. 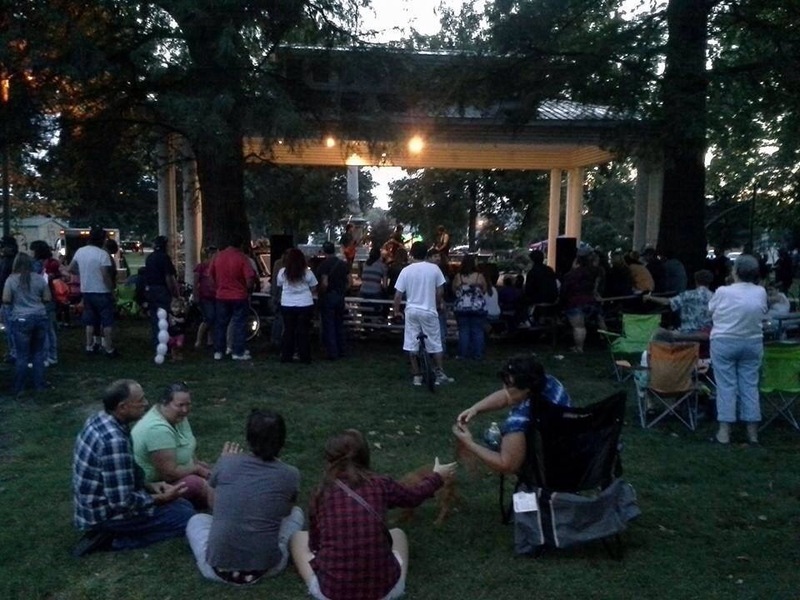 Its influence has inspired many of the projects we do at Haskins House and am I very pleased that Tracy Park continues to be a place of positive energy and a great space for the community to come together.